Community Spotlight: Week 11 WINNER! If some of you are unfamiliar with what the ‘community spotlight feature’ is please have a look at our previous blog post providing you with all the in’s and out’s of how it works as well as how you can involved with our new weekly feature. If you want to find out the results and participate in the poll, click here! 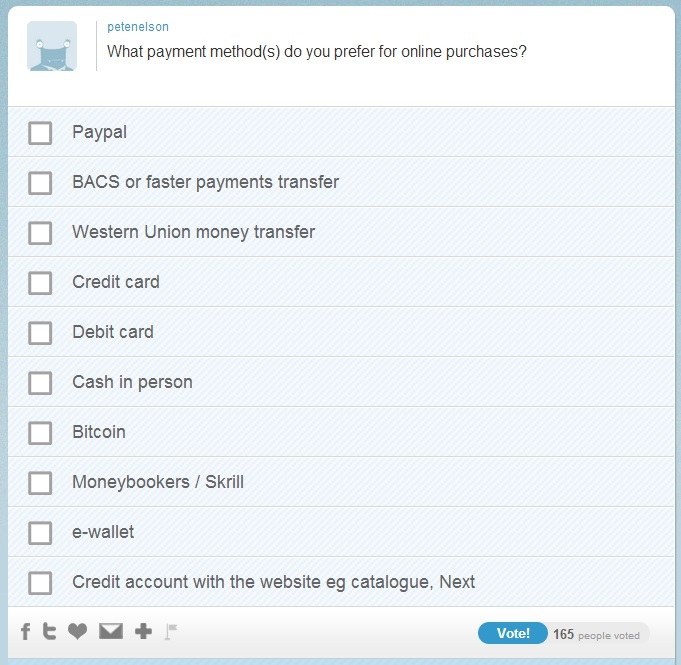 With Christmas fast approaching how will you pay for your online purchases?! If you want to get involved and win 5,000 points for the content you create, please leave your links for us to have a look at. Next week’s winner will be announced on Monday 2nd December 2013.